The 10 candidates for the Mayor of London election , as well as those representing other groups contesting the Greater London Assembly elections, on May 1st 2008 are now officially listed by London Elects. As well as housing Whitehall, London has many information and identity management systems of its own. How do candidates feel about the civil liberties and privacy implications of, among other things, the Oyster Card, congestion charging, telephone parking? Would they support or oppose national ID schemes as mayor? What is their attitude to the database state? Prospective candidates Gerard Batten (UKIP), Siân Berry (Green), Lindsey German (Respect / The Left List), Boris Johnson (Conservative), and Brian Paddick (Liberal Democrat) have indicated interest in participating already. The function creep in the extension of use of Automatic Number Plate Recognition Cameras / CCTV Cameras from their original purpose e.g. systems which were installed on the promise that they would make the streets safer from street robberies and violence, but which are being used instead, by Local Authorities like the London Boroughs of Camden or Richmond, to collect hundreds of thousands of pounds in fixed penalty notices, even from car drivers who have only stopped for a few seconds to let an emergency services vehicle etc. pass them safely. The Home Secretary has crippled the Data Protection Act enforcement powers of the Information Commissioner regarding the handing over of all the Camera data, in bulk, in real time, in secret, from Transport for London to the Metropolitan Police Service, including the Central and the Westward Expansion Congestion Charge zones, and the larger Low Emission Zone and TfL traffic CCTV cameras in general. What extra safeguards and protections for innocent London travellers, would each of the candidates implement or demand ? Why should London taxpayers or Congestion Charge or LEZ charge payers pay for this secret data snooping scheme, rather than it being funded from the Central Government "single security budget" ? "see through your clothes or your children's clothes" scanner trials and actual deployment at Canary Wharf, but also being threatened for use in schools or on the Tube. All the mad / "snake oil" schemes for mass surveillance which are likely to be touted by vendors and suppliers of equipment and services, ahead of the multi billion pound (in)security budget spend for the London 2012 Olympic Games e.g. "aggressive audio behaviour" snooping linked to (even more) CCTV cameras, or the, extremely hazardous in a heavily built up urban area, "pilotless surveillance camera drones". Will the candidates promise to force the removal of any extra mass surveillance and snooping systems, which may be justified temporarily for only the Olympic Games period ? Or is the permanent "legacy" of the Olympic Games going to include even more of the infrastructure of a repressive police state ? It will be interesting to see how many of these five candidates, or the other five candidates, turn up to this hustings event. Continue reading NO2ID Database State hustings for the Mayor of London election candidates - Tuesday 8th April 2008. It looks as if we will have to again go through all the fuss and lobbying that we saw over the wretched Legislative and Regulatory Reform Act 2006, the previous attempt by this Labour Government to neuter Parliament by Order of a Minister. See the Save Parliament website as a reminder of the dangers to our Parliamentary democracy from the executive branch of Government, which seem to be looming, yet again. N.B our original posting missed out the word under from 2 (a) , which appears in the current online version of the .pdf file. We are trying to see if we can recover the previous version of the .pdf file from which we were working, and which struck us as so peculiar and noteworthy at the time. "under" makes the wording of 2 (a) less awkward, but it does not limit Clause 43 to just this Constitutional Renewal Bill, it still applies to every Act of Parliament. Repealing any Sections of any Acts of Parliament i.e. Primary Legislation, will only require the "affirmative resolution procedure". Revoking any Sections of any Acts of Parliament i.e. Primary Legislation, will only require the "negative resolution procedure". Amending any Sections of any Acts of Parliament i.e. Primary Legislation, seems to require both the "affirmative resolution procedure" and the "negative resolution procedure". What happened to the supposed "super-affirmative procedure" and the whole of the debate in Parliament and in the UK political blogosphere over the wretched and controversial Legislative and Regulatory Reform Act 2006 then ? The abuse of the catch all, excessively broad wording "amend, repeal or revoke any provision made by or an Act" means that even the Constitutional Acts like Magna Carta, the Bill of Rights 1689, Habeas Corpus, the European Communities Act, the Human Rights Act, the Civil Contingencies Act etc. can all be repealed or amended without the need for a full debate, or for new Primary Legislation, simply by Order of a Minister. Continue reading Danger ! Draft Constitutional Renewal Bill Part 6 tries to remove even the limited constitutional safeguards of the "destroy Parliament" Legislative and Regulatory Reform Act 2006. The much hyped The National Security Strategy of the United Kingdom - Security in an interdependent world (.pdf 64 pages) is now available online on the Cabinet Office website. Is anyone really clear about exactly how the current plans and policies of the Government actually fit with this National Security Strategy, except in the vague, generalised, non-specific, hand waving political management consultant speak terms ? 6 mentions of "horizon scanning"
86 mentions of "national security"
8 mentions of the "internet"
5 mentions of "cyber attack"
2 mentions of "cyber crime"
2 mentions of "money laundering"
24 mentions of "organised crime"
4 mentions of "biological weapons"
14 mentions of "Middle East"
10 mentions of "United States"
Zero mentions of "genetic engineering"
These are serious omissions, given the potential and actual threats which they pose. Continue reading National Security Strategy - bias, omissions and weasel words. Today should see the publication of Gordon Brown's alleged "National Security Strategy", which he signaled last summer and autumn, you know, the one which was supposed to have been published by Christmas. Since we, along with the rest of the public, are never actually consulted about such things, we have little expectation that this document will actually do anything to make us any more secure, or that the the resources available to the Government will actually be directed into the proper areas. We expect the Strategy, to appoint a National Security Council, as Yet Another Talking Shop, loosely based on the system which the USA has had since 1948, to advise their President on general National Security Strategy policies, and for it to develop its own bureaucratic empire of Special Advisors and Committees etc, all of whom will need to travel in secret luxury to "consult", with their counterparts in foreign countries. Just as worrying is the media spin and briefing ahead of this official announcement which seems to show that vaguely unnamed "security agencies", are attempting to make an even greater mockery of the Data Protection Act and the Regulation of Investigatory Powers Act, by doing away with the need for them to proportionately target their quests for data from mass surveillance systems like the London Oyster Card travel smartcard scheme or for "CCTV" in general. There is no scientific evidence that effective "future horizon scanning for threats" is even vaguely technically possible, given the vast amount of data which is currently being generated. The officials and politicians and lobbyists who are pressing for such a further extension of the UK mass surveillance society should have the courage to put forward their case, backed by evidence, openly in public. If they cannot do that, then there is every chance that they are deluded or are deliberately lying about how effective such snooping will be, and the risks that their new systems pose to the liberty, freedom and security of innocent individuals. We await the publication of this Strategy with fear and foreboding. Reporters Without Borders: new updated version of the "Handbook for Bloggers and Cyber-Dissidents"
The content of the document is clearer and more polished than the first 2005 version. There is plenty of good advice to new political or dissident bloggers, and even very experienced veterans will find some useful advice or links. This handbook is, unfortunately still only available as an 80 page Adobe .pdf file, which may make it difficult to download and to distribute in areas of poor internet connectivity. It also makes it hard for search engines and bloggers to publicise it - see Cory Doctorow's 17 Tips For Getting Bloggers To Write About You. Continue reading Reporters Without Borders: new updated version of the "Handbook for Bloggers and Cyber-Dissidents". It is still astonishing to us that the UK Government has still done nothing about the insult to our Supreme Court, the Law Lords of the House of Lords, whose Judgment on the extradition to of Farid Hilali to Spain, the first person to be arrested in the UK on a European Arrest Warrant. has been deliberately flouted by the Spanish authorities. Hilali's former UK solicitors, Arani & Co. have released a couple of documents from the successful application for Habeas Corpus, back last May, which was quashed by the Law Lords on appeal this February, with the proviso that Farid Hilali could not be extradited to Spain to face charges of belonging to a terrorist organisation (Al Quaeda) but that he must face the September 11th 2001 attack linked charges of mass murder and endangering aircraft. In fact, Hilali is now in solitary confinement, facing only the forbidden "membership of a terrorist organisation" charge, which is an utter insult to our Law Lords and to the sovereignty of the United Kingdom. See the Free Farid website. 20 It is also noticeable that in the extradition proceedings, despite any representations made by his advocates, the Applicant has never denied in evidence that he is Shakur. It should be up to the prosecution to prove that Hilali is Shakur, i.e. the presumption of innocence ! The UK Extradition Act 2003 proceedings do not allow the defendant to make any challenges to any evidence whatsoever, they only deal with the matter of whether the application for extradition has been worded correctly etc.. Hilali and his lawyers have made plenty of press statements denying that he is Shakur. Continue reading Farid Hilali in solitary confinement - voice analysis match of mobile phone intercept done in the United Kingdom. The survey does not ask for any personal details, but it does nag a bit, with most of the Questions being Required ones. The survey does promise anonymity and confidentiality, but MI5 are not the only people who might be interested in tracking or tracing the people who choose to fill in this survey. The professionally paranoid amongst you may wish to use Tor or other proxy servers, someone else's WiFi access point etc. and to remove your cookies, fake your web browser user_agent string etc.and make sure that you do not use the SSL version of the website, if you want to keep your real IP address and some other details private (unless it is more important to you to hide your browsing details from your local systems administrators or ISPs, than it is from MI5). There is a Captcha to reduce spam, but how this Government website survey complies with the Disability Discrimination Act 1995 is a mystery - perhaps they need to read the PAS78: 2006 Publicly Available Specification Guide to Good Practice in Commissioning Accessible Websites (.pdf) produced by the Equality and Human Rights Commission. The MI5 website could really do with some Syndication feeds, (RSS 2.0 / Atom) like millions of blogs, including this one have, and like the FBI.gov website has had for several years, especially for the What's New section and the Terrorism Threat Alert Status. 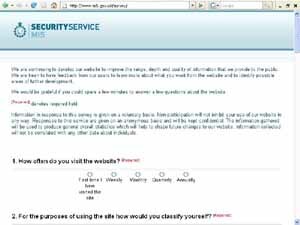 Continue reading Security Service MI5 website survey. 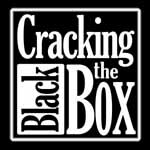 17th Century Bill of Rights attempt to suppress FOIA disclosure ? Why is the Speaker of the House of Commons helping the Executive branch of Government, to suppress freedom of speech and transparent open government, in a matter of huge public interest, by trying to abuse the Bill of Rights 1689 ? We are astonished and furious, that this Bill of Rights, is being abused in the High Court to try to weasel out of having to disclose the early (and now very out of date) Gateway Reviews of the Home Office's Identity Cards Programme (as it was then, circa 2002 / 2003), by the lawyers for the Government's Office for Government Commerce, supported by, incredibly, lawyers for the Speaker of the House of Commons, in their Appeal against the Decision of the independent Information Tribunal, which ordered full disclosure, in the public interest. See the history of this long running Freedom of Information Act disclosure suppression in our OGC Gateway Reviews of the Identity Cards Programme blog category archive. Home Secretary Jacqui Smith has now followed her dismal NuLabour / Old Labour extremist predecessors, by delivering a torrent of weasel words and nonsense in support of the wretched National Identity Scheme. Her speech and the associated National Identity Scheme Delivery Plan 2008 both seem to be designed by the Home Office spin doctors to try to deflect the attention of the media and the wider public from the Crosby Report, publication of which appears to have been suppressed for about a year by Gordon Brown. This report, Challenges and opportunities in identity assurance< Crosby Report (.pdf), is by Sir James Crosby, the former head of the HBOS bank, and deputy chairman of the Financial Services Authority. He has outlined some common sense approaches to the issues of Identity Assurance, based on what consumers , citizens and the business world want and accept, rather than the Police State centric plans of the current National Identity Scheme. At an early stage, we recognised that consumers constitute the common ground between the public and private sectors. And our focus switched from "ID management" to "ID assurance". The expression "ID management" suggests data sharing and database consolidation, concepts which principally serve the interests of the owner of the database, for example the Government or the banks. Whereas we think of “ID assurance” as a consumer-led concept, a process that meets an important consumer need without necessarily providing any spin-off benefits to the owner of any database. This distinction is fundamental. An ID system built primarily to deliver high levels of assurance for consumers and to command their trust has little in common with one inspired mainly by the ambitions of its owner. In the case of the former, consumers will extend use both across the population and in terms of applications such as travel and banking. While almost inevitably the opposite is true for systems principally designed to save costs and to transfer or share data. Obviously such common sense, is an anathema to the out of touch control freak politicians and bureaucrats in the Home Office and Downing Street, whose National Identity Scheme bears very little resemblance to what Sir James Crosby has identified as being necessary or feasible. The BBC reports the full transcript of Jacqui Smith's speech given at the NuLabour political think tank Demos, which contains spin and nonsense almost worthy of Blunkett or Clarke. Continue reading Jacqui Smith and National Identity Register spin, trying to hide the Crosby Report. HMRC FOIA response regarding the two tier tax return system of Special Categories for Celebs and VIPs etc. Another less than transparent response to a Freedom of Information Act request arrived by email on Thursday. See HMRC response to FOIA request for general details of the Special Categories of tax returns of Celebrities and VIPs etc. The actual response does address the 11 numbered Questions which were asked, each to a lesser or non-existent degree. HMRC are pretending that the request was for individually identifiable information, when it was only asked for high level, general categories of supposed VIPs and alleged Celebrities, who are being given special treatment regarding their income and perhaps corporation and value added tax returns. This situation was highlighted by the inability of Members of Parliament to file their tax returns to HMRC over the Government Gateway web page. Item 10): No, the data is not included in transfers. Apparently "two Commissioners of HM Revenue and Customs have considered your request "
HMRC does not know neither who authorised the policy on Special categories in the first place, nor how long it has actually been in place, nor how much it costs to handle these Special Categories of tax returns. How do they know that they are actually complying with the original Policy on Special Categories, ? How can the public be re-assured that this Policy has not deteriorated into wasteful bureaucratic red tape, and function creep, and is now being applied to far more people than it was originally intended ? This FOIA response is also another example of a Government Department or public body trying to claim an exemption under "Health & Safety", which has got nothing to do with anything which comes under actual Health and Safety laws or regulations, no personal details are being requested. Surely the Phorm web page interception scam is illegal ? The Register has published some diagrams of how the appalling Phorm web advertising scheme will work, Major UK broadband Internet Service Providers British Telecom Retail, Virgin Media and Carphone Warehouse TalkTalk, all seem to have signed a "commercial suicide pact" contract, to abuse their customer's data privacy, without first obtaining their prior informed consent. Think back to all of the well founded privacy fears about DoubleClick cookies, and about Google keyword searching of all the text of yur emails and documents in your "free" gmail account. Phorm appears to be a combination of these two direct marketing approaches , except this time it is inflicted on all the web traffic of the unlucky customers of the participating ISPs, via man-in-the-middle attack hardware plugged into their core network infrastructure. Phorm perpetuate the common misconception amongst advertising weasels, that if your web browser software connects with a particular website, at any time, then that somehow means that you as a person, are positively and genuinely interested in receiving direct advertising related to the vague subject category in which they have arbitrarily categorised that website. They never seem to make adequate allowances for accidental visits to websites, or for visits on behalf of other people, whose consumer preferences do not match those of the regular user of a particular computer. To do so accurately, they would have to compile an individual browsing history. Even if you believe Phorm's weasel worded hand waving marketing-droid promises about "100% Consumer Privacy", these seem to be impossible to deliver with the architecture described in the BT diagrams, which The Register has published. Phorm's claims that they will somehow provide an anti-phishing service, cannot be reconciled with their promise that they will ignore https:// SSL encrypted traffic - if they do so, then what real use is their "service" against real phishing attacks on internet banking websites, which all use this ? How, exactly can any of this be legal ? Since many people use web based email systems, for example, these ISPs and Phorm should be prosecuted for illegal interception of communications without a warrant signed by the Home Secretary under the Regulation of Investigatory Powers Act 2000 section 1 Unlawful interception, and each of the people responsible should be facing up to 2 years in prison, including those who seem to have already conducted full scale pilot trials of this technology on unsuspecting BT customers. Criminal liability under RIPA cannot be evaded simply by changing the Terms & Conditions of your civil contract with your Internet Service Provider. Continue reading Surely the Phorm web page interception scam is illegal ?.